[caption id="attachment_3108" align="aligncenter" width="1024"] McKinley Technology High School are repeat champions[/caption] By LifeSmarts staff Entering the day, there was one ticket left to be punched for the LifeSmarts national competition, which will be held in Atlanta, GA from April 19-23. 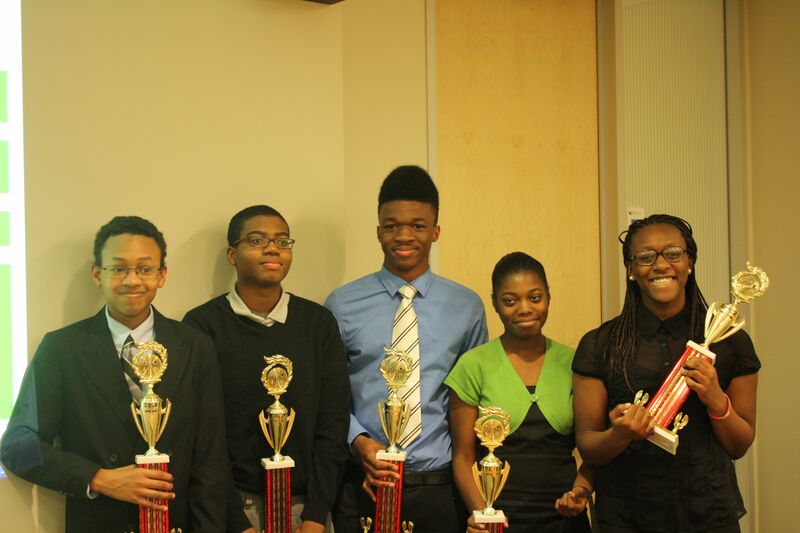 McKinley Technology High School won the DC LifeSmarts competition today, ensuring the last spot in beautiful Atlanta. After a long day of heated competition, McKinley Tech’s two teams faced off in the final round of questioning, each flexing their consumer knowledge muscles. This was not uncommon territory for McKinley, which sent a team to the national competition in Philadelphia last year. Delonte Bright, a member of the 2012 McKinley team and current advisor to the new DC champion team, said LifeSmarts gives students a great opportunity to learn about consumer issues. “There are so many things I learned in LifeSmarts that have been useful in the real world,” said Bright. Het offered one example, saying, “Now I know how many times I can go to the bank and withdraw money before I get a penalty. I never have to worry about that anymore.” Bright, who graduated from McKinley in 2012, now attends District of Columbia University, home for the DC LifeSmarts competition. He serves as a mentor to current team captain Leslie Ogu. This McKinley senior, who received a full scholarship to George Washington University for fall 2013, says that LifeSmarts is a great tool to empower consumers, and he has learned so much new information that will be helpful the rest of his life. Ogu hopes to study computer science at GW. He is already knowledgeable of technology issues evidenced by his top score in the individual technology assessment portion of the competition. The LifeSmarts competition is a nationwide consumer challenge for high school students. It is a program of the National Consumers League. This year in Atlanta, representatives from 36 states will descend upon the Peach State for four days of consumer knowledge competitions. The participants will compete in a variety of games, testing their knowledge in personal finance, consumer rights and responsibilities, health and safety, technology, and the environment. We look forward to welcoming McKinley and all of our other winners from around the country to Atlanta next month. Follow the action on twitter at #LifeSmarts2013.